About 20 years ago I was introduced to Mildred Mottahedeh at a conference in Arizona. Hand of the Cause Bill Sears introduced us because he knew I yearned to teach the faith in Eastern Europe, and he knew that Mildred had a particular interest there too. Later in 1990, at her suggestion, I pioneered to Prague, Czechoslovakia. I was there 18 months, and traveled from Prague to Russia, and to Alma Ata, Kazakhstan in order to visit with and help teach among long-out-of-contact believers. Still later, at various times, I was hosted for dinner at Mildred's sumptuous apartment overlooking the United Nations complex in NYC. Once in late 1992 I took Mildred to a concert of Beethoven's 9th Symphony at the Lincoln Center. On the way we stopped at a drugstore. When she came back to the car, Mildred showed me a gold locket which held hair from Baha'u'llah. She told me that Shoghi had given it to her when she WITNESSED his marriage to Ruhiyyih. Mildred and her husband bought a limousine for Shoghi to use, which he later loaned to Ben Gurion when "Israel" was established. Mildred Mottahedeh had known May Maxwell [Shoghi Effendi's wife, known as Ruhiyyih Khanum] since the 1920s. They were close confidants and best friends. Before Violeta Nakhjavani took over as "companion" to Ruhiyyih, Mildred held that honor. Mildred and I were very close. She ASKED me if I "struggled with being gay". 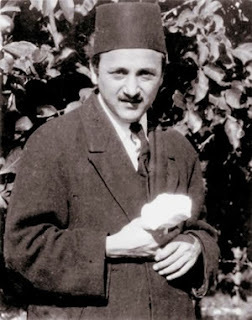 When I admitted that I did, she revealed to me that Ruhiyyih had intimated to her that Shoghi was homosexual himself, and hated himself because he "fell so short of what was expected of him as a member of Baha'u'llah' s family". Ruhiyyih told Mildred that their marriage had been arranged to "help" Shoghi "straighten himself out". (It is purely MY conjecture that Ruhiyyih was Lesbian. I just saw such a Bull-Dyke everytime I saw her, and her relationship with Violeta seemed obvious.) Mildred told me that she had revealed that long-held secret because she hoped it would one day help other gay baha'is to realize that they were not struggling alone; indeed that the "Center of the faith" had struggled against the same "affliction". Mildred made me swear NEVER to reveal what I knew until AFTER her death. I kept the promise.